This technique involves the generation and 2-D analysis of peptides from a protein. Each protein has a unique peptide map (2-D analysis) and hence serves as a fingerprint for the protein. This technique involves the generation and 2-D analysis of peptides from a protein. 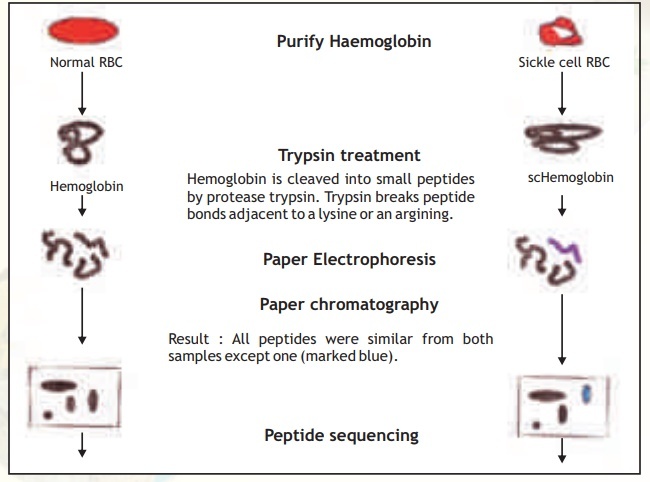 Each protein has a unique peptide map (2-D analysis) and hence serves as a fingerprint for the protein. The steps involved in generating a peptide map/fingerprint are as follows(Fig. 6).